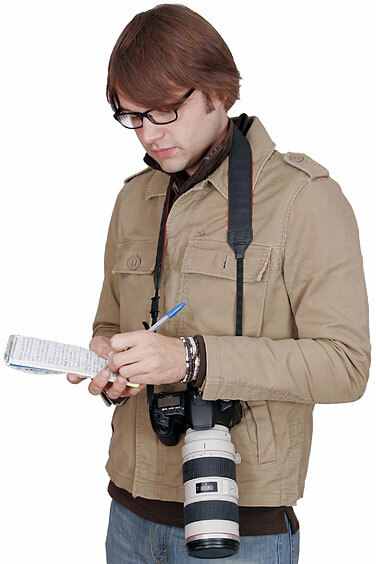 Journalism is defined as the activity or profession of writing for newspapers or magazines, or of broadcasting news on radio or television. Human beings have a need to know what is going on in the world around them. The "news" allows us to be aware of important happenings, protect ourselves, identify with friends and neighbors, figure out who our friends and enemies are, and form significant social bonds. Because news is so important to us, society had to figure out a way to distribute it. In a nutshell, journalism is the framework designed by society to ensure that news is circulated. History shows that civilizations with the most news tend to be the most democratic. For example, one of the earliest democracies, ancient Greece, introduced a type of oral journalism in which the city's most important news was circulated in the Athens marketplace. The Romans introduced a more advanced form of journalism, writing down the state's most important political news and posting it in public places. Truthfulness. The journalist's first priority is to tell the truth. Objectivity and impartiality. Journalists must remain independent of those they cover, and must keep their own opinions and agendas out of their coverage. Accuracy. All information must be verified. Limitation of harm. The journalist should not include details, names, or information that are not related to the report or may harm someone. Journalism comes in many forms, including newspapers, television, and now the Internet. The rise of the Internet has made it significantly more difficult to discern between "real" journalism and commercialism pretending to be news. While any organization can make up a fraudulent news report that is really a marketing piece for their particular product or service, the public also bears some responsibility in terms of where they get their news and what they believe. Kovach, B. and Rosenstiel, T. (2007). The Elements of Journalism . New York: Three Rivers Press. Passante, C. K. (2007). The Complete Idiot's Guide to Journalism . New York: Penguin Group. Project for Excellence in Journalism . Pew Research Center. Web. 30 April 2011. www.Journalism.org.